In Barcelona, the kiosk is a social nexus as well as a point of sale. However, many street kiosks are losing their original function because of the falling newspaper sales. 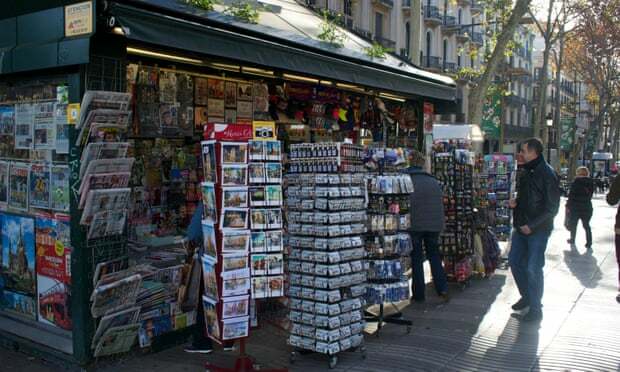 Over the past few years, 53 of Barcelona’s 338 kiosks rolled down their shutters for the last time. Many more are expected to follow. The average age of the kiosk clients is over 60 years old and young people are not interested in working in a kiosk. But there are new possibilities for the future of the kiosk: the Barcelona city authority have launched a pilot scheme to give kiosks a new lease of life. They have chosen 10 defunct kiosks and are establishing a cooperative of people with mixed abilities to staff them. Besides of the original functions, the kiosks will act as information points, book exchanges and places where you can charge your mobile, electric scooter or bicycle. This can offer some chances for the users of the LEVs in the future Barcelona pilot.